As a Moderate graded rock climb the Inaccessible Pinnacle is the most technical of all the 282 Munro's, and for many Munro baggers it is best done with the help of a guide. 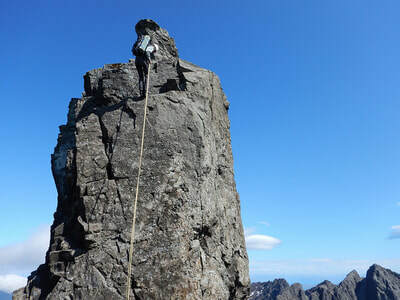 The most popular route takes us up the airy and exposed East Ridge, but with large foot and hand holds it is possible for inexperienced scramblers, as long as you have a good head for heights. We then make a fantastic abseil to safely descend. 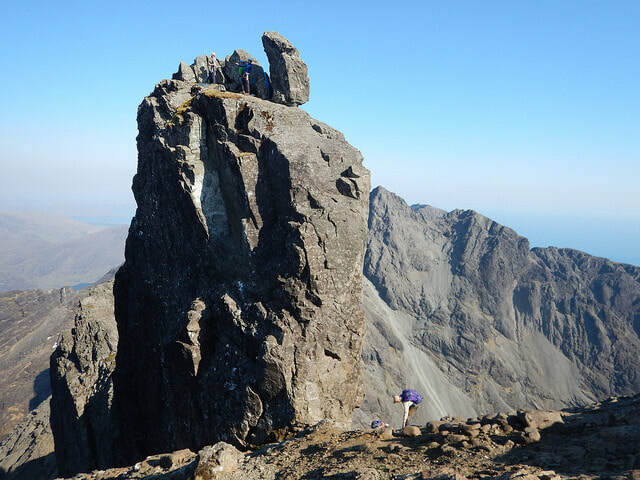 A guided ascent of the In Pinn is possible for most fit hill walkers, but for the more experienced you could also take in the Munro's of Sgurr Mhic Choinnich and Sgurr na Banachdich for a really full day out on the Cuillin Ridge. 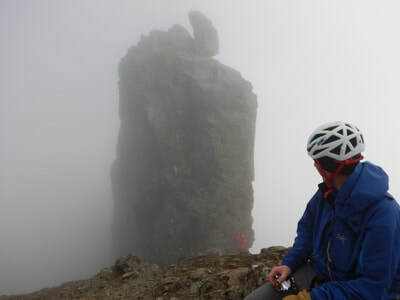 We guide at a maximum ratio of 1:4 for In Pinn days and for the ascent of the Inaccessible Pinnacle itself your guide will take two people at a time, then reascend as required with remaining participants. 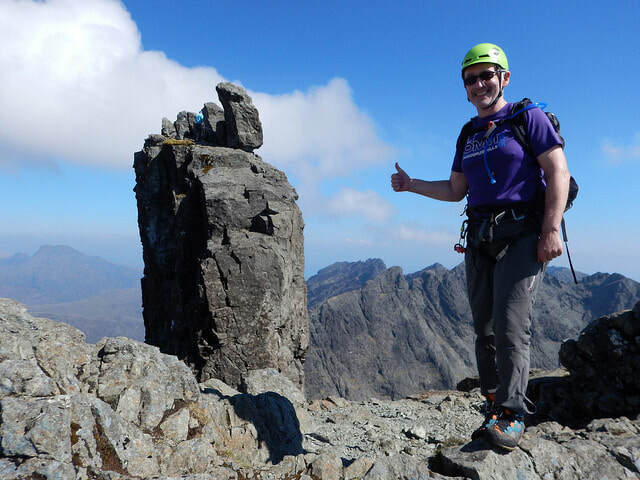 We can run guided ascents of the In Pinn on any day of the week so get in touch to check our availability and make a booking.